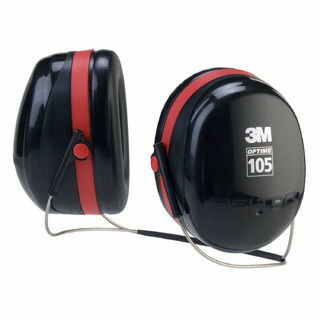 3M H6B/V PELTOR™ Optime™ 95 Behind-the-Head Earmuffs H6B/V, 10 EA/Case | Products | Personal Protective Equipment | Hearing Protection | Earmuffs | Behind the Head Earmuffs | Scientific Sales, Inc.
3M™ Peltor™ Optime™ 95 behind-the-head earmuffs feature low-profile earcups that fit well with most helmets, eyewear and other safety equipment. 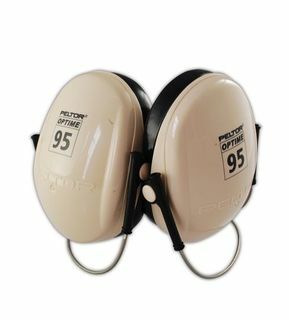 Provides effective hearing protection against high-frequency noise. 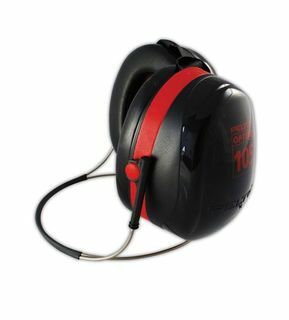 For noise levels up to 95 dBA, the lightweight and comfortable behind-the-head earmuffs feature low-profile earcups that fit well with most helmets, eyewear, and other safety equipment. 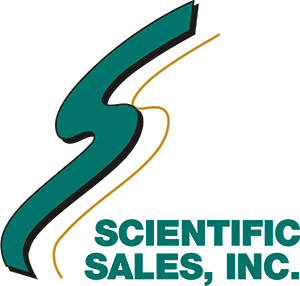 - Multi-position designs, available in headband, neckband, helmet-attachable and folding models. - Stainless steel construction resists bending and warping. - Earcup pivot points tilt for optimum comfort and efficiency. - Ultra light with liquid/foam filled earmuff cushions. - Color-coding for compliance sighting. - Noise Reduction Rating (NRR)*: 21 dB. 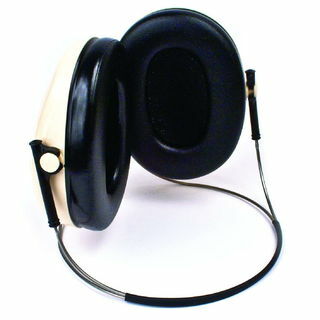 CSA Class B *The NRR may overestimate the hearing protection provided during typical use. 3M recommends reducing the NRR by 50% for estimating the amount of noise reduction provided. 3M is Leading the Advancement of Hearing Conservation™.